We don’t think of spirits as having terroir. Amari are a big exception. 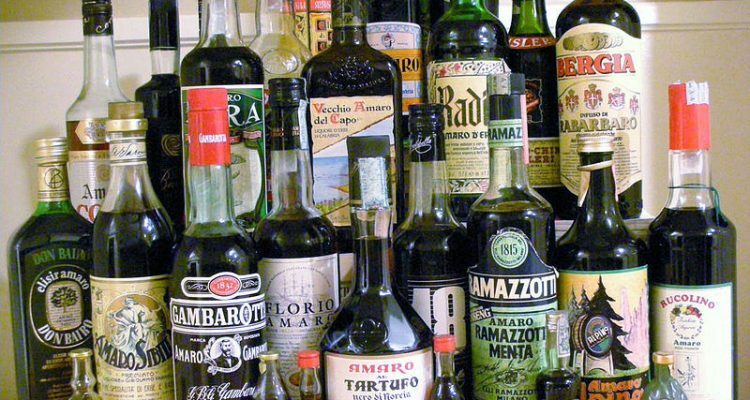 “Amaro” means “bitter” in Italian. These traditional spirits, flavored by roots and herbs, are drunk at the end of a meal in Italy to aid the digestion. 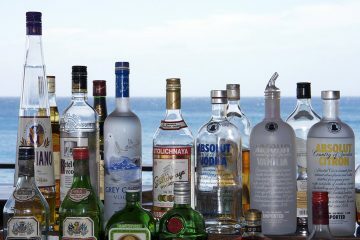 For a long time in the U.S., an Italian restaurant might keep a single dusty bottle in the far reaches of the back bar. But U.S. bartenders have discovered amaro, and some people (count me in) are justifiably passionate. I don’t drink amari like Italians do; that reminds me of taking one’s medicine. There are newer, better ways to enjoy amaro, starting with adding a couple of ice cubes, and including a very simple cocktail recipe, below. Digging into amaro isn’t the same as following the craft spirits movement in the U.S.; it’s far more rewarding for the wine lover. It’s exciting that Americans want to make gin or whiskey in small batches, but almost without exception, if a U.S. craft spirit has a unique taste, it’s a product of the distiller playing around. Nothing wrong with that, but Italian amari are often made from formulas over a century old with ingredients from the locale where they’re made. 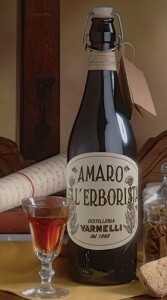 Amari are higher in alcohol than vermouths, sometimes just a little – one of the best, Varnelli Dell’Erborist, is just 21% alcohol – and some significantly so. Santa Maria al Monte, for example, is 40% alcohol, the same as vodka, though with a helluva lot more flavor. And that’s how amaros are most similar to vermouths. They are packed with natural flavors from roots, herbs, fruit peels, dried spices, etc. They’re so complex that, though they add a lot to cocktails, arguably the best way to enjoy them is on their own. Let’s talk about ice cubes. I have had Italian servers look askance at me when I asked for ice with my post-dinner amaro. But most amari are better this way, in the same way that most whiskeys benefit from a wee drop of water. Water releases the tightly held aromatic compounds. The mouthfeel is also often better with ice, as many amari are thick and a little syrupy. I have had Italian servers ask, “How many ice cubes?” Well, I’ll tell you, after experimenting at home: one big one or two medium-size. Any more ice is too much and makes the amaro watery. That whole drinking-at-room-temperature thing? It’s austere, punishing, taking your medicine, and in fact that’s where the idea comes from. You can shake this and serve it up, but I like it just as is. Amaro goes with gin as beautifully as vermouth does; all those botanicals combine for a complex flavor, and in this case, the gin lightens the mouthfeel. I like this recipe best with heavier amari like Santa Maria al Monte and also sweeter amari like Ramazotti. In Milan a bartender once asked me what spirit I liked. I had a Braulio fixation at the time, so he whipped up a Braulio sour, a drink I’ve been dreaming about ever since. Shake ingredients without ice to get a good froth going, then shake with ice, strain and serve. Amari are reasonably priced; many cost $30 or less, although you can spend $50 or more for some of the harder-to-get ones. Here are a few of my favorites. Amaro Nonino has a pretty, fruit-and-mint-driven character, with notes of orange peel, clove and mountain herbs. 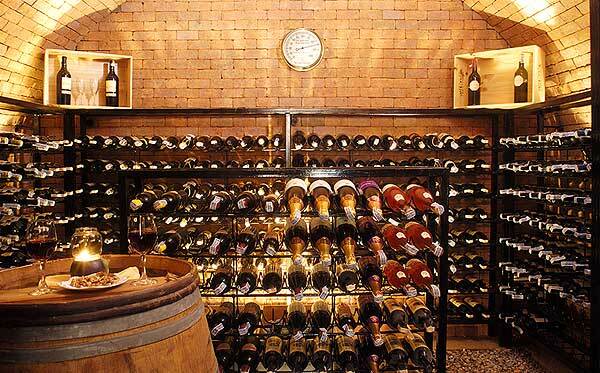 Averna was created by Benedictine monks who gave the recipe to a monastery patron in 1859. It’s a good introduction for beginners, with its rich, full-bodied character of cola, cinnamon and citrus. Braulio is my favorite amaro; complex and elegant, with a formula based on alpine herbs. I thought I would never mix it into a cocktail until I had the Braulio Sour. 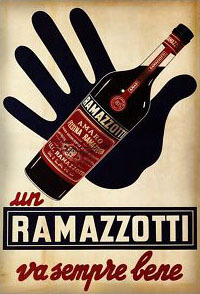 Ramazotti celebrates its 200th anniversary this year. It’s dense and slightly sweet, with coffee and citrus notes, and is popular in Milan as a “correction” for espresso. Santa Maria al Monte was created in 1892 and is potent in both alcohol (40%) and flavor: woody, spicy and complex, with a long finish. Varnelli Dell’Erborist is the ultimate wine-geek’s amaro. The roots and herbs that flavor it come from the Sibillini mountains, as does the honey used to sweeten it (most amari use sugar). It’s produced over a wood fire and bottled unfiltered, giving it cloudiness and some sediment. Most unusual of all, it lists all of the ingredients on the back label.